Orange County's original home for indoor rock climbing. Whether its your first time climbing or you're a master sender, Rock City has climbing for all levels to enjoy a fun, safe, family-oriented environment. We're not just a gym, we are a community of climbers. 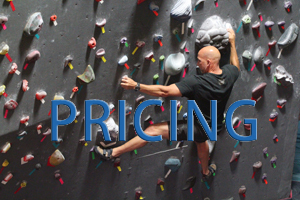 Rock City Climbing is Orange County's original home for indoor rock climbing. We are not just a gym, but a community of climbers. Rock City provides a home for first time climbers or master senders to enjoy a fun family-oriented environment. Get a head start on climbing and complete the waiver before you arrive. Orange County's original home for indoor rock climbing. Whether its your first time climbing or you're a master sender, Rock City has climbing for all levels to enjoy a fun family-oriented environment. We're not just a gym, we are a community of climbers. © 2016 Rock City Climbing Gym. All Rights Reserved.